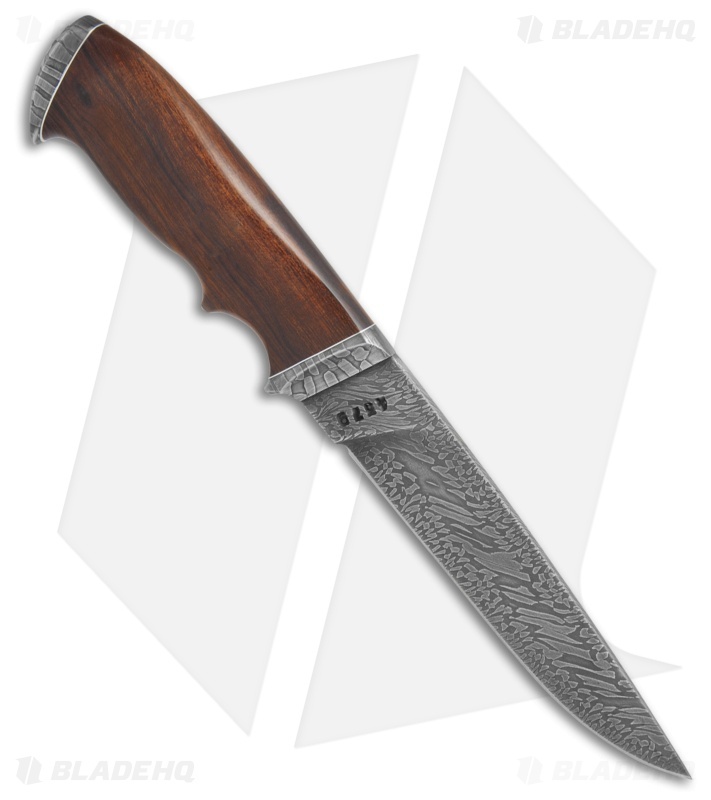 This handcrafted Suna knife features a Marbled Damascus steel blade. It sports an Ironwood handle with Marbled Damascus steel bolsters to match the blade. 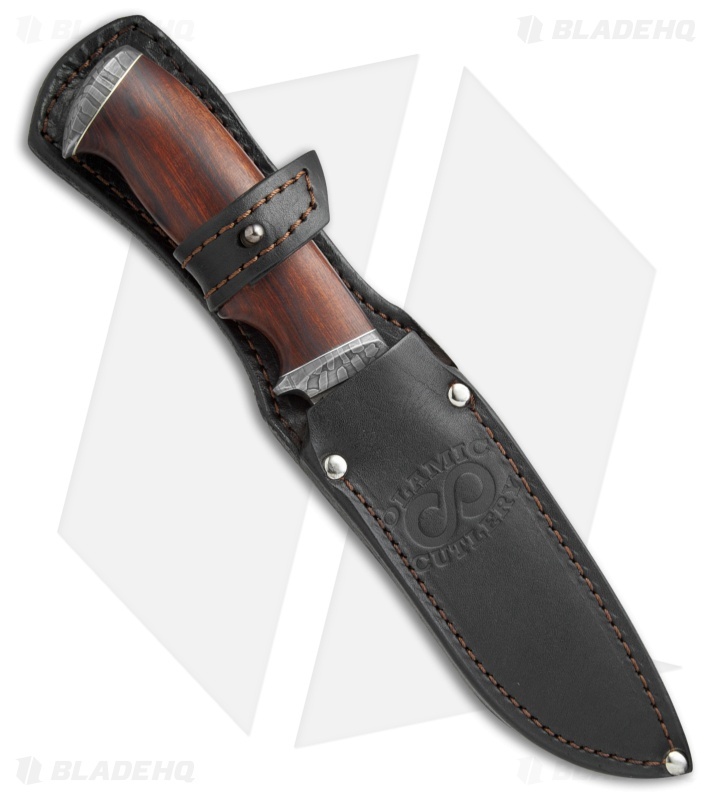 The knife includes a leather sheath with a dangler attachment for comfortable belt carry. 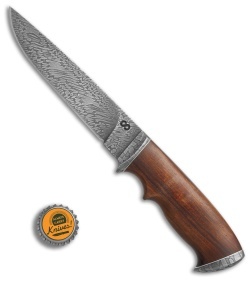 Olamic Cutlery was founded in 2010 by Eugene Solomonik and his father. 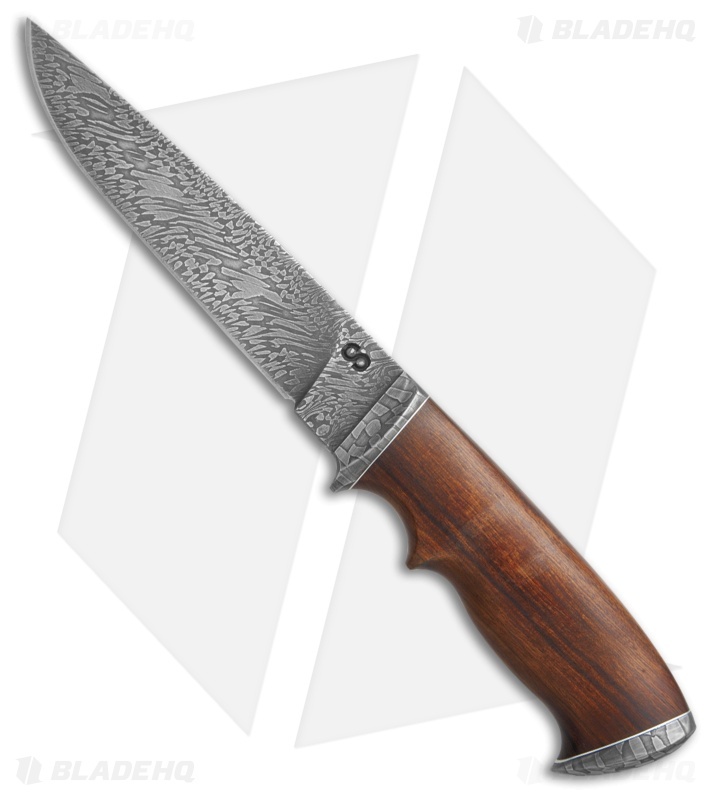 The knives are handmade in a small shop in Russia. The four craftmen are trained specifically in their respective areas: blade forging and shaping; heat treatment and acid etching; final assembly and handle work. Olamic Cutlery uses a proprietary and proven four steel mix (O1 base) to make their High Carbon Vanadium Damascus (HCVD).